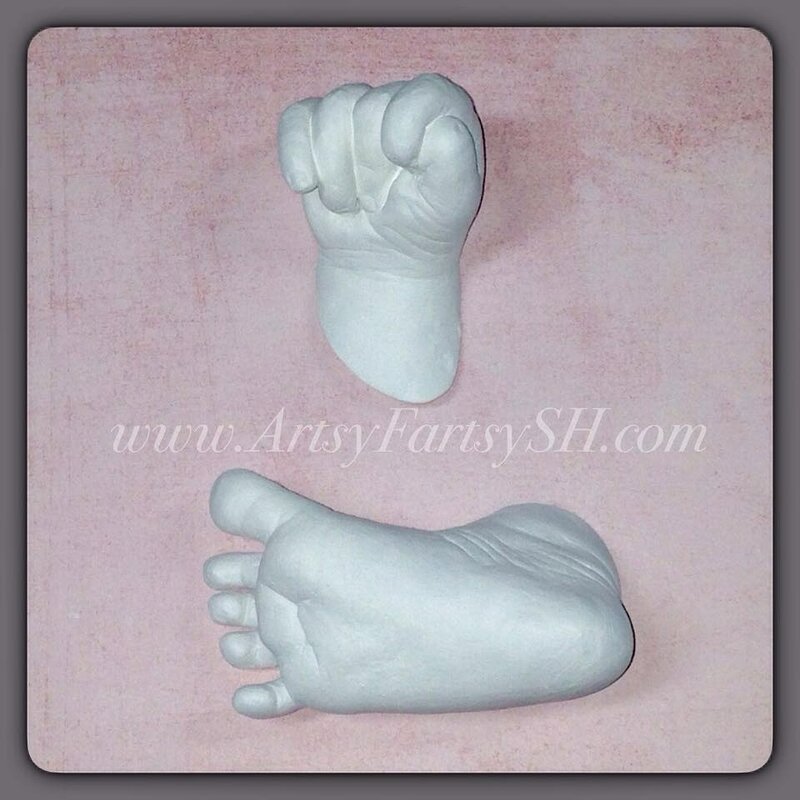 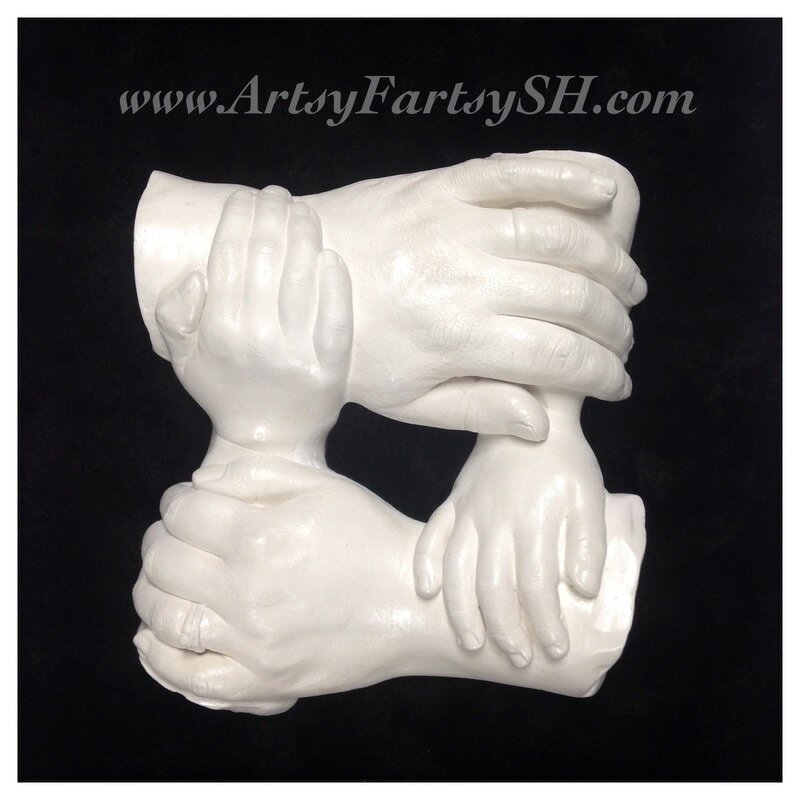 Life castings are an impression of exactly what your hands look like. Nails, skin texture, scars, even your rings all show in this one of kind piece of art. All castings are done in the studio and take approximately 1 hour of your families time.